In the UK, car injury compensation is the leading reason for making a personal injury claim. The Department for Transport reports that there were 208,648 road traffic accidents in 2010, and while it is difficult to calculate exactly the number of road traffic accident victims from this figure who are eligible for car injury compensation in the UK, taking into consideration that 95% of car accidents are understood to be caused by driver error, the majority of the victims in these accidents could well be entitled to claim compensation for their injuries - provided of course that they were not the driver primarily at fault in an accident. UK car injury compensation can only be claimed by somebody who has sustained a quantifiable injury in a car accident which was caused by the negligence of a third party. Negligence is a legal term meaning a failure in the duty of care, and in car accidents this can be reckless driving, driving under the influence of drugs or alcohol, a lack of concentration such as when using a mobile phone while driving, or a simple error of judgement which caused an accident. Car injury compensation in the UK is not restricted to drivers; and passengers, cyclists, motorcycle users and pedestrians can also claim compensation if they have been injured by a vehicle. The victim will be required to prove that there has been negligence, and that a failure in the duty of care to other road users was the direct cause of an injury. Proving negligence does not mean being able to demonstrate beyond all shadow of doubt that it was the cause of an accident. A claimant needs to demonstrate that "on the balance of probabilities", a competent and attentive driver would have avoided an accident or at least been able to take action to reduce the severity of the injuries caused. If you have been injured in a car accident for which you were not primarily to blame, you should be eligible to claim car injury compensation in the UK, and should seek legal advice. Car accidents often involve more than one vehicle, and multiple drivers may have contributed to the accident or injuries to some degree. When multiple drivers have been negligent, a separate claim would need to be made against each, and the contributory negligence of each would make them liable for a proportion of any compensation payment. In many cases, UK car injury compensation claims are not pursued because the victim believes that they were partly at fault in an accident, or contributed towards the severity of the injuries which have been sustained by their own lack of care. If you have been injured in a car crash and were not wearing a seatbelt, a defence would argue that you have been negligent with regards to your own personal safety. In such cases a claim for compensation is still possible, but the value of the claim would be reduced due to personal negligence. Car injury compensation in the UK is generally reduced by 25% for not wearing a seatbelt, although this is not a hard and fast rule. Compensation may be reduced by considerably more, depending on the circumstances of the accident and the nature of the injuries sustained. Car injury compensation in the UK is most commonly awarded for whiplash injuries, which account for three quarters of all UK car injury compensation claims. Whiplash injuries are most frequently caused by a rear end smash, when the force of the impact sends the body forward with considerable force. Although wearing a seatbelt ensures that fatal injuries are often avoided, the head and neck are not supported, and soft tissue damage to the neck is highly likely to result. Whiplash has been estimated to cost insurance companies in the region of 2 billion pounds each year in compensation payments. UK car injury compensation is never paid by the defendant personally, and it is their insurance company which is liable to cover compensation costs. Drivers are required to take out insurance for exactly this reason. In the majority of claims, an insurance company will be prepared to make a settlement for damages, and will not take the case to the UK courts. Only when negligence is denied, or a mutually acceptable agreement cannot be reached, is a judge required to intervene and decide the outcome of the case. UK car injury compensation out of court settlements are preferable for both parties, as taking a case to court will incur court charges and legal fees will be considerably higher. Unsuccessful claims will see the claimant liable for third party legal costs, and insurers are keen to limit their exposure. Using an experienced personal injury solicitor to make a UK car injury compensation claim increases the chance of obtaining a fair out of court settlement, and failing to do so may see the insurance company choose to proceed to the courts. 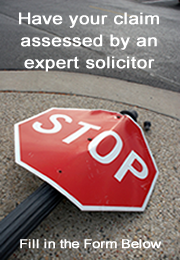 Even in cases which appear to be strong, a personal injury solicitor should always be used. With proper legal representation it is far more likely that claim is successful, and the expert negotiation skills of a personal injury solicitor tends to result in greater compensation being awarded. Recovering compensation is not something that can be taken lightly, and the decision to claim should only be made after you have sought professional legal advice. For free impartial advice on claiming car injury compensation in the UK, you should call our claims hotline on the number below. If it is not convenient to call straightway, please complete our call back request form below. Just enter your name and contact telephone number and the best time to call, and a personal injury solicitor will be in touch at the appointed time. 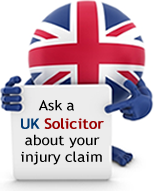 You will be able to have all your questions answered, and will be advised on your eligibility to claim compensation.